Hubs and I just took our first real vacation since 2011. Oh, we have 3-day weekends at the coast but these past 10 days we caravanned to New Orleans, Louisiana with 4 other families in our RVs, and then traveled to Manhattan, Kansas for Keith’s 40th high school reunion. May 24, 2018 we headed for Louisiana and stopped at 12 Oak RV Park in Lake Charles. We proceeded to lose some cash at the local casino (only $150) and then took off the next day for New Orleans. We had an amazing 4 days there visiting Bourbon Street, shopping in the local open air market, and hanging at the pool in the resort before heading back to the RVs to grill up dinner. One day when some of our group wanted to do a plantation mansion tour, I opted out for fabric shops! LOL My first stop was Mes Amis Quilts and they had a really cute easy quilt with Ghastlie’s fabric. I loved the ladies in this shop! For those who don’t know, the Ghastlie’s are like the Adams Family of today and kids just love them. Keith’s 11 y/o granddaughter is totally into Monster High (ghoul-like Barbies) and I thought she’d love this quilt for her birthday. Of course I brought along a sewing machine, and even with limited space in the RV, I set up shop and whipped up her quilt top! The pattern is Bookends, and while the cover on the pattern is “ghastlie” LOL (I don’t think they could have chosen an uglier sample on the cover), it is perfect for any group of novelty prints you might want to make up. On another day, I absolutely HAD to visit Promenade Fine Fabrics. This shop is highly recommended by my 2018 RTW Faster’s group and they didn’t disappoint. You garment seamstresses wouldn’t believe this place. Seriously…just look at the button selection! Those are all tubes and drawers with thousands of buttons. Here is a photo from inside the front door. If all you have ever shopped in is big box fabric stores (which I do all the time) you really should put this on your bucket list to see and feel textiles you’ve never seen in your life. You want $50 a yard lace for your wedding gown or Louis Vitton swim fabric? They have it. This fabric has an underlining that is the color of orange sherbet and the 3D lace just sparkles. The photo doesn’t do it justice. I just stood there and stared going “Oh wow”. I looked for the price but couldn’t find it. If you have to ask, you can’t afford it. This stuff is royal wedding quality. Mr. Herbert Halpern is the owner and one of the sweetest! He is the epitome of old school customer service. Absolutely one of the best in the business. He sold me on a panel piece by Maggy London. I see a new dress in my future! Can’t you just see the border print in the flare at the hem on the dress in the link? After Promenade, I headed over to the Quilted Owl and found my summer quilt project! I LOVE this quilt and absolutely had to make it for my bed. Can you believe this quilter doesn’t have one of her own quilts on her own bed? It’s crazy but that madness is about to end. The ladies there were amazing as well and helped me find the exact same background fabrics and made great suggestions for scrappy block pieces. The pattern is Love Worn. Really y’all, this quilt just “spoke” to me and I just had to make it. Don’t you love it when that happens? I’ve never had a reproduction pattern or fabric do this to me but it will look amazing in my master bedroom. We got home on Thursday, May 31, and then flew to Kansas on Friday June 1st. I had just enough time to do laundry and pack! On Saturday morning while Keith caught up with his BFF from high school, I headed out to All About Quilts and found some gorgeous panels. I love to make these up because they are so quick and easy. I’ll donate the finishes to local fund raisers. Right when I walked in, they had some yummy fat quarters that called to me. Seriously, you could hear them…”Psst, hey Becky, check us out!” LOL Can you say GORGEOUS? They are from Charming from Planted Seeds Designs. That dark is a very navy blue vs. black. I did a little searching and found, Flutter, a pattern that was designed just for this fabric by the fabric designer herself! MSQC has lots of this in stock so I’ll be getting my backing from them. So that’s it! That’s my fabric vacation! I had so much fun and hubs was such a sweetie to indulge me as I headed off to locations unknown in foreign cities. That Google Maps lady is invaluable! We stopped at another casino on our way home and I won back what I’d lost so I broke even. That’s a total win in my book! What’s in your queue for your summer projects? Sounds like a perfect vaca! I am in awe of your speedy RV-sewing! I went to Promenade Fabrics a few months ago – everything was as lovely as you said! I lied to my companions (hubs and a daughter) about how far it was from the French Quarter and we walked there – despite my herniated disc! We did Uber back to the FQ after I scored some lovely cotton lawn! Can’t wait to see your finished master-bedroom quilt! Well! We were going to New Orleans, Kinder, Durant OK, Winstar Casino, and a few others until the hot weather set in! Then we decided to spend that fun money and have new roofs (Standing Seams) put on the House and Studio. Vacation time will be in October/November! You made me break my golden rule for 4 months! No new patterns. I found the pattern on Etsy! I love that quilt! Too funny Nan! When I saw that quilt, I actually thought it might be right up your alley. You probably have all the fabrics already. Let’s compare finished products. 🙂 So glad you found your roofing contractor. We had ours replaced after Harvey and the team was SO fast! I left for Colorado Springs on a Friday with the old roof intact and then when I got home on Sunday the new roof was in place and they left a very clean job site too. Nothing like roofers leaving shingle nails in the driveway to ruin your day. this is really amazing blog. the tips and the tutorial you provided are so helpful. users of all ages can do by your tutorial. thanks for the great help. Thank you so much for your kind words! 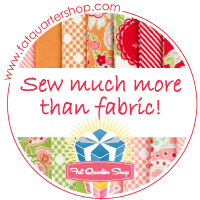 Glad to share my sewing/quilting knowledge. 🙂 Please check out my YouTube channel “Power Tools With Thread”. Thanks again!